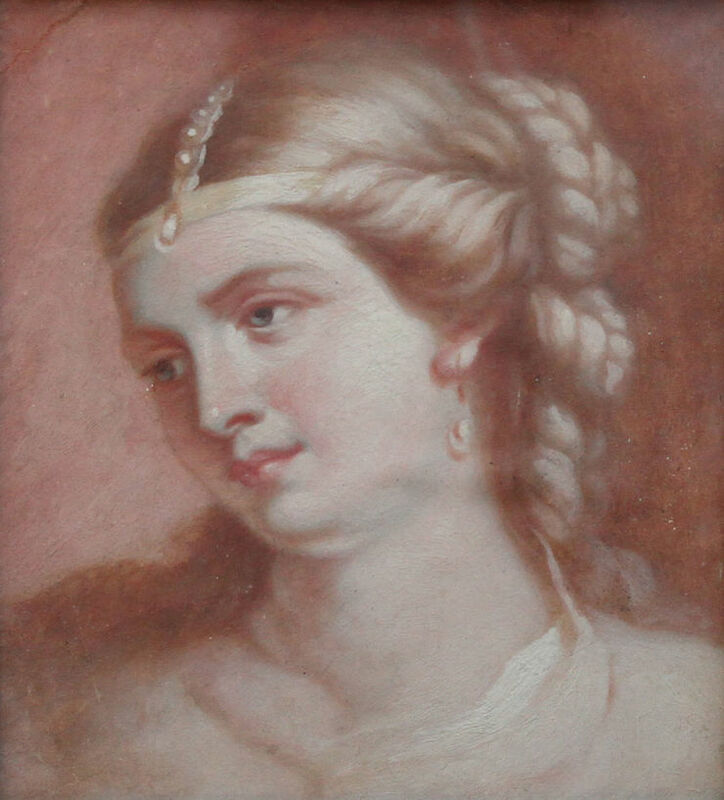 A fine Old Master British portrait which dates to circa 1830 and depicts a girl. Painted by the president of the Royal Scottish Academy, Sir John Watson Gordon, it is a very beautifully executed head and shoulders study of a Lady. 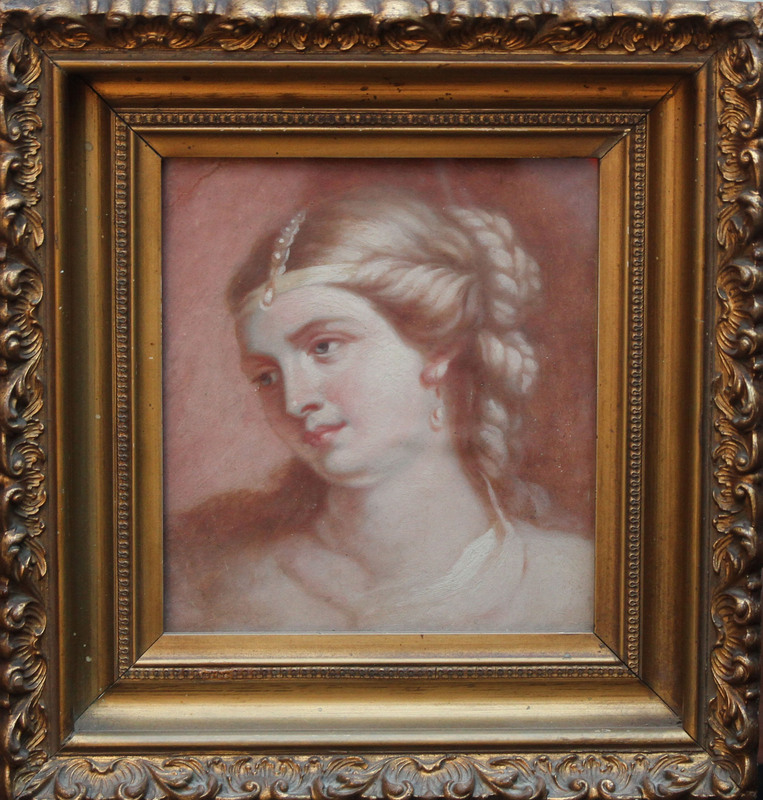 The painting is framed in a good quality and evenly distressed 18th century gilt frame. Christie’s London. Aitken Dott - Edinburgh. Good early 19th century frame 11 inches by 11 inches.